Taylor Swift fans in Australia and the Philippines have tweeted screenshots showing that her new album, Reputation — released on November 10th — is now available to stream on Spotify and Apple Music in their respective countries. Thus far, if you wanted to hear Swift’s sixth studio album you had to purchase a digital download or trek to Target and pick up a physical copy along with a very odd magazine. On November 7th, Bloomberg reported that the album wouldn’t be available on any streaming services for at least its first week, and that services were still negotiating with Swift’s team. The full album is currently listed on Spotify in the US, with non-singles greyed out. According to a post on Swift’s Instagram account, the full album will go live at midnight tonight. Swift’s first five albums were added to Spotify in June after a three-year absence and about a dozen conflicting public statements by Swift about the ethics of streaming services. She didn’t comment on her decision to return to Spotify. However, the move came shortly after Universal Music Group negotiated a contract with the platform that allowed artists to keep new albums off of the free, ad-supported tier, and exclusive to the premium tier for two weeks after their initial release. Clearly Swift’s terms were different. 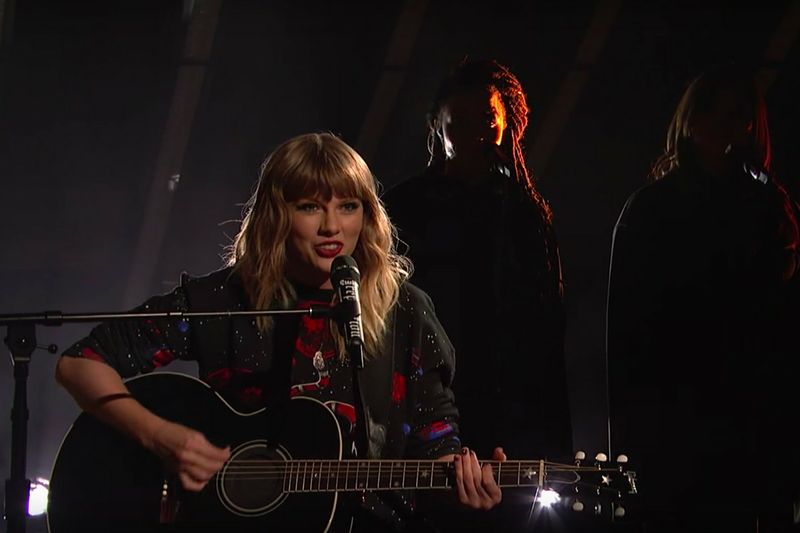 Assuming Reputation arrives on streaming services tonight, it will be a full three weeks after its initial release. We’ve reached out to Spotify and Apple Music and will update if we hear back. Update, 6:58PM ET: The story has been updated with a link to Swift’s Instagram post confirming the midnight release time.